There’s nothing better than a refreshing drink on a hot summer day. 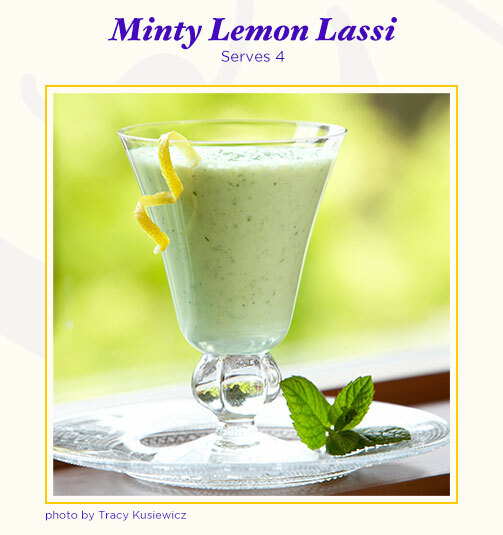 Try a Minty Lemon Lassi. The Mint is rich in vitamins A, C, and B12. Lemons are also an excellent source of vitamin C and this drink has plenty of both! This Minty Lemon Lassi recipe is in honor of DreamWorks Pictures’ charming new movie The Hundred-Foot Journey starring Helen Mirren! Food Network star Chef Bar Arneson was inspired to create 6 absolutely delicious dishes after she saw the film. 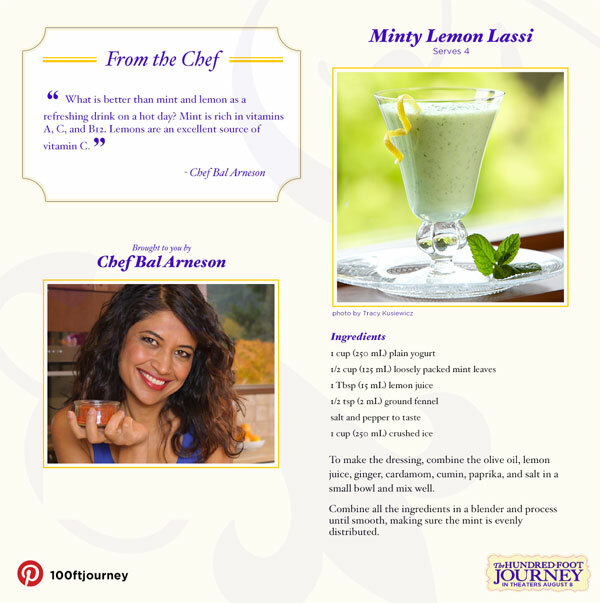 Check out the Minty Lemon Lassi recipe below and then click the links at the bottom of this post for the other great recipes! More great recipes from Food Network star Chef Bar Arneson. Be sure to check out more information about The Hundred-Foot Journey! I like that is a better healthier drink for you, great in vitamins! And I love mint and it has yogurt in it. YUMMY! I’m going to definitely try this one. Wow! This looks so good and sinful… I love that it’s not though. It’s healthy!! !